William R. Paul — Mechanik Nuccio Hearne & Wester, P.A. 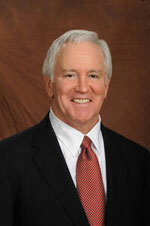 Bill Paul has a practice that spans a wide variety of business transactions and legal proceedings, including his representation of public and closely held companies, securities issuers, underwriters, broker-dealers, and venture capital investors in securities offerings, compliance activities, and administrative, licensing, and enforcement proceedings. His practice includes mergers, acquisitions, takeovers, business combinations, business sales, executive employment and separation agreements, dispute resolutions, and government contracting. He has represented buyers, sellers, joint venture partners, lenders, and investment bankers in various business financing and sale transactions, and manufacturers, suppliers, and distributors in a varied spectrum of distribution agreements. In over 42 years of private practice, Bill has represented clients in numerous industries and professions, including real estate syndications; computer hardware and software; medical practice and medical devices; computer software development, RFID and emerging technologies; casino cruises; motor vessel financings and acquisitions; hospitality and hotel development; heavy and light manufacturing; radio broadcasting; food processing and distribution; mortgage lending, brokerage, and banking; commercial banking; investment banking; securities brokerage; real estate brokerage; insurance; and cellular tower leasing. His clients also have included educational and charitable tax-exempt organizations involved in finance, real estate, healthcare, environmental protection, and other industries. Bill practiced law in New York City for 3 years prior to moving to Tampa, Florida in 1979. He has been a partner in international, national, and Florida law firms during his years in Tampa. He is a member of the American Bar Association and its Federal Regulation of Securities Committee, The Florida Bar and its Business Law Section, the District of Columbia Bar, and the Hillsborough County Bar Association and its Securities Section. He was President of the Tampa Bay Chapter of the Association For Corporate Growth from 2000 to 2003 and a Director from 1998 to 2010. He was a founding member of the Real Estate Investment Council, Inc. ("REIC") in 1983; served as REIC President for two years; and has been a Director since 1983. He is a charter member of The Tampa Club. Bill is AV Preeminent Peer Review Rated by Martindale-Hubbell and is included in the 2013, 2014, 2015, 2016, 2017, and 2018 editions of Florida Trend's Florida Legal Elite. Prior to entering private law practice, Bill was a Senior Staff Attorney with the U.S. Securities and Exchange Commission in Washington, D.C., in its Division of Corporation Finance, for 3-1/2 years. He is a former arbitrator for the American Arbitration Association, The New York Stock Exchange, and the NASD (now FINRA). Bill earned a B.S. in Economics from the Wharton School of the University of Pennsylvania in 1964 where he was a member of the Varsity Football Team from 1960 through 1963. He earned a J.D. from Brooklyn Law School in 1973, where he was a member of the National Moot Court Team and the Moot Court Honor Society, and completed several tax law courses in the graduate program at Georgetown University Law School in 1974 and 1975 while working as a Senior Staff Attorney at the SEC. Bill is a graduate of the American Academy of Dramatic Arts in New York City, performed in lead roles in several dinner theater productions in Staten Island, New York, and is an avid theater goer.